When new nurses enter the nursing profession, their eyes are generally focused on the prize of having realized their goal of becoming a nurse. Finishing school, passing the NCLEX, and achieving licensure are important landmarks to be celebrated. In the interest of a successful launch as a nurse, the following tips will help the novice nurse steer a course towards personal and professional success and satisfaction. Your resume, skeleton cover letter, business card (yes, you need one), and other important career data are essential to nail down right away in the interest of networking, career development, and the job search process. Your resume is a document that must be flawless, flexible, and easily edited for various opportunities. Your cover letter must also be easily adapted for positions and facilities you’re applying to. A business card is an essential piece of networking real estate that should contain your name, credentials, and contact information on one side, and half a dozen bullets summarizing your strengths on the back. LinkedIn is the most popular professional networking site. It’s actually a search engine disguised as social media, and that search engine can get you connected with recruiters, power brokers, key colleagues, and other key members of your network. This is a place to receive testimonials and recommendations, providing the all-important “social proof” that your colleagues hold you in high esteem. Building a strong network is one of the most powerful things you can do for your career since many opportunities are found through who you know, not an ad. That person sitting next to you in nursing school? He could be your future boss. The doctor with whom you have a stellar rapport? She could be the key to a position you’re seeking five years down the road. Your network is like gold and should be treated as such. Just because you finished school doesn’t mean you’re done learning. The most successful nurses and healthcare professionals don’t rest on their laurels; rather, they feed their curious minds with new information, skills, and ways of thinking. Nursing conferences, continuing education, and professional journals are great sources of learning, but remember that reading novels, watching important movies, traveling to other countries, and going to museums can also strengthen your understanding of human behavior and culture. Learning also involves new clinical skills, especially if your career trajectory may keep you in the clinical space. Technology is changing, and the evolving evidence base will keep you on your toes. Stay clinically current and never stop sharpening your skills and learning new ones along the way. If your mind is closed to new ways of thinking, different career paths, and alternative ways of seeing the world, you can miss out on a lot. Maintain a flexible attitude towards life and people. Be curious and attentive, and you’ll be rewarded in unexpected ways. Your nursing school experience may have taught you that the only way to be a “real” nurse is to work in acute care. While a year or two of med-surg is nice to have under your belt, hospital nursing only makes up about half of all jobs. Your innate curiosity about the world (see #5) will help you to be open to other career paths. Entrepreneurship, research, academia, the corporate setting, and other opportunities will pass you by if you wear blinders that limit your vision to the hospital. Explore what other nurses do and be surprised at the plethora of choices available to an open-minded nurse. A high IQ is great, but did you know that you also have an EQ (emotional quotient)? Emotional intelligence means that you’re able to be in touch with and understand your own feelings, and also be able to read and react appropriately to the feelings of others. An emotionally intelligent nurse can go far when they apply that intelligence to work, people, and relationships. Relational intelligence takes emotional intelligence and makes it operational on the ground. 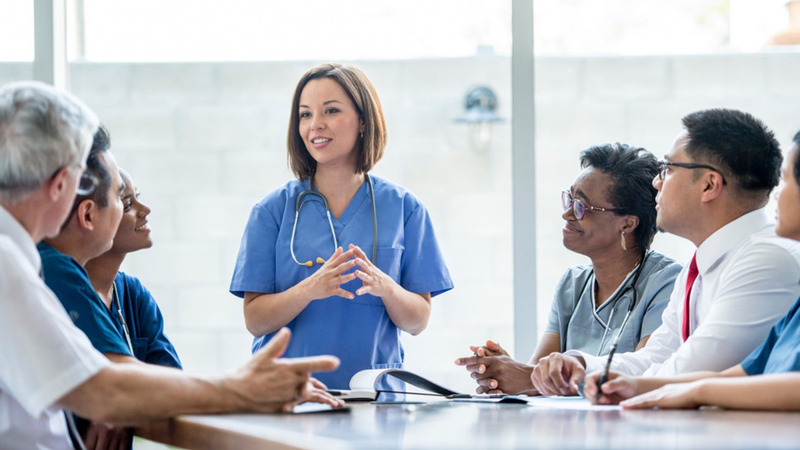 A relationally intelligent nurse knows how to navigate relationships with colleagues, patients and their families, researchers, accountants, executives, and others. Nursing is a highly relational field and being intentional about the quality of your interactions with others can assist in your career development, but also in your sense of personal satisfaction. Whether or not your facility has a mentoring program, it’s prudent to choose your mentors wisely. A mentor may be officially assigned to you as part of a workplace program, and that can be a key relationship. However, you don’t need your employer to give you a mentor – you can find one yourself. A mentor can be a highly respected colleague who you directly ask to be your mentor. This will look different for everyone, but it might entail regular meetings to check in, ask advice, bounce around ideas, or to chart the course of your career. On the other hand, a mentor can also be someone you respect who you simply observe and strive to emulate. This individual may not know that they’re serving as your mentor, but that’s fine – it’s all about what you observe, how you learn from this person’s actions and behaviors, and what you do with the information you glean from the experience. You may have many mentors throughout your career, and this is actually highly advised. There are plenty of talented people out there – seek out the awesome individuals in your orbit and see what you can learn from them. As a nurse, people will do their best to pigeonhole you and nail you down. Almost everyone you meet will assume you work in a hospital, and perhaps you don’t. People will tell you what you “should” do, and those opinions may go against what you really want. Maintain your hold on your own individuality as a nurse. Nursing is a diverse field with myriad opportunities for those willing to see beyond the obvious. Be that nurse who stands up for what they believe and creates a career trajectory that’s personally satisfying and professionally fulfilling. The rest is icing on the cake.